A picturesque lakeside setting surrounded by acres of natural beauty is where youll find the Crowne Plaza Princeton Hotel. Whether it's for a relaxing stay or a productive meeting, we offer resort amenities and the best in meeting technology and conference services. 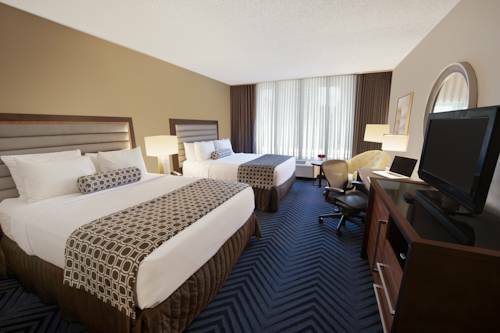 Guestrooms are appointed with luxurious bedding and aromatherapy to help you unwind the day away. The Princeton Conference Center boasts 54 event rooms and 60,000 sq. ft. of meeting space, including a 360-seat amphitheater. The Crowne Plaza Princeton Hotel is centrally located between New York City and Philadelphia. We are minutes away from Historic Downtown Princeton and Princeton University. This Princeton NJ hotel is conveniently located near top corporations including Novo Nordisk, Bristol-Myers Squibb, Siemens, Deloitte, Sandoz and many more. Stay connected with our complimentary wireless internet access that will keep you on the move and in the know.The Crowne Plaza Princeton Hotel offers the best in recreational facilities to keep you fit and energized. Amenities include an Expansive Fitness Center indoor pool, whirlpool, indoor racquetball court, squash court and basketball court. Take a scenic jog or walk through our wooded paths or enjoy a game of tennis.On site dining includes The Forrestal Grille, offering casual dining and the hip and eclectic Flight Martini & Wine Lounge, offering signature cocktails and small plates meant to be shared. Flight - Martini & Wine Lounge is the coolest lounge in the Princeton area. Enjoy flights of wine, martinis and eclectic center of the plate cuisine in a trendy atmosphere. Einstein is one of our most popular rooms with it's large capacity and flexible set-up. The tiered Amphitheater comfortably accommodates 220 people on the lower level and an additional 140 on the upper level. Advanced audio visual equipment including a touch to talk microphone system make this room ideal for any meeting. Madison is a centrallly-located meeting room on the main floor of the conference center. It can be configured in many ways and is fully equipped with AV equipement. As a member of IACC (International Association of Conference Centers), we take great pride in offering an environment that is designed specifically for meetings. Children's program - Apple picking, pumpkin picking, cider, pies, farm animals, pick your own, field trips, farm market, gift baskets and more can be found at the Mount Family's 200 fruit- and vegetable-producing acres noted for quality products and country-style service. Situated on 230 acres of breathtaking countryside in the heart of Princeton , N.J. , TPC Jasna Polana continues to redefine the private club experience boasting an award-winning championship golf course designed by the legendary Gary Player.